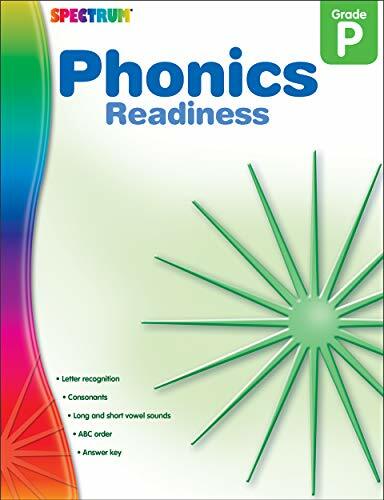 The Spectrum(R) Phonics Readiness Workbook for pre-kindergarten features 128 perforated pages of various activities, including matching and coloring, as well as practice pages to help young learners strengthen their basic language arts skills and to prepare them for the grade ahead. This instructional workbook is designed with engaging step-by-step directions to reinforce concepts such as letter recognition, consonants, long and short vowel sounds, alphabetical order, and more. An answer key is included to help parents and teachers accurately monitor students' progress.